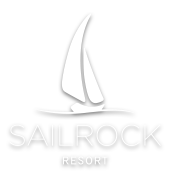 Designed as a low-density and naturally preserved environment, Sailrock’s Peninsula Neighborhood consists of 770 acres of unique topographies, vegetation and shorelines. With nearby access to Sailrock Resort, all the finest amenities are available to guests of these Private Villas in Turks & Caicos, including prime dining options, secluded beaches, infinity pool, full-service spa, fitness facility and fresh market. Complimentary breakfast and WiFi are offered to all registered guests.